Blog about developmental trauma, attachment trauma and shock trauma treatment and online trauma therapy using Somatic Experiencing (SE™), Somatic Touch, SE™ Touch, therapeutic Swedish massage, neuromuscular massage, deep tissue massage, reiki, cranio-sacral therapy, Physio-Spiritual Etheric Bodywork (PSEB), The Dakini Sessions, Green Tara Meditation Massage, Seated Warrior Pain Relief Massage, Comforted Child Nurturing Massage, and guided meditation offered at Bodhisattva Bodywork by licensed bodywork and massage therapist Anna Sanders, LLC, SEP™, in online therapy sessions, in Japan, in Key West/Florida Keys, and in the Triangle area of Raleigh, Durham, Cary, Hillsborough, Carrboro, and Chapel Hill in North Carolina. Relaxing the mind through relaxing the body. At Bodhisattva Bodywork, I offer a variety of stress reduction and trauma resolution therapeutic services in my Chapel Hill office and online via a secure video link. I’m also affiliated with a trauma-focused group psychotherapy practice in Japan: Trauma Treatment Center and Resources (TTCR), which offers body-based therapy sessions and educational seminars in both English and Japanese. Fatigue? Mood swings? Memory lapses? Physical aches and pains? It could be dehydration. I hadn’t realized how used I’d gotten to the pain emanating from both hip joints until a visiting relative asked me, “Why are you walking like that?” My usual morning stiff-legged gait had caught his attention. X-rays ruled out arthritis. I tried chiropractic and acupuncture, but neither provided long-lasting relief. I wasn’t sleeping well, and was tired and cranky. In desperation, I scheduled an appointment with nutritional health coach, Rachel Khani. After completing a very thorough diet, exercise, and lifestyle intake, Rachel suggested a few very simple dietary changes. At the top of the list was her recommendation that I drink at least 70 ounces of water, pure water, every day. That’s two liters of water a day! I protested, but I was in pain. I did as Rachel recommended. Within two weeks, I was sleeping through the night and my hip pain was GONE. To say I was surprised would be an understatement--I was stunned. 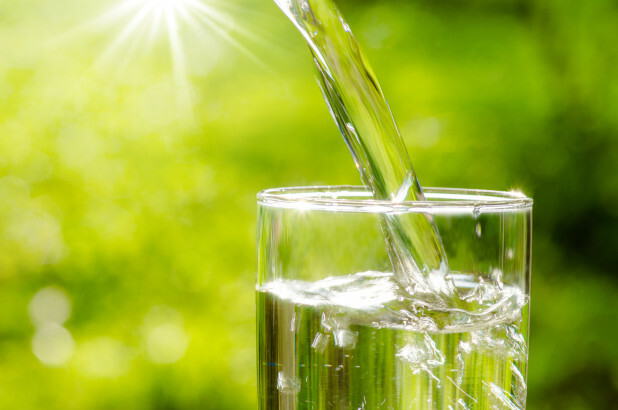 I couldn’t believe that simply consuming more water could make such a difference. At Bodhisattva Bodywork, I offer a variety of trauma resolution therapeutic services in my Chapel Hill office and online via a secure video link. I’m also affiliated with a trauma-focused group psychotherapy practice in Japan: Trauma Treatment Center and Resources (TTCR), which offers body-based therapy sessions and educational seminars in both English and Japanese. Looking for Stress Management? Body-based "trauma therapies" can help! We’ve discussed that trauma isn’t only defined by big, overwhelming events; it can also be the end product of cumulative stress (click here for more information). Even so, I have some clients who don’t feel “traumatized,” but they ARE stressed out and want to feel better! Not a problem! We can use many of the same techniques to help. If we accept the standard definition of stress as “a state of physical, mental or emotional strain or tension resulting from adverse or very demanding circumstances,” we can see that any method which serves to release this strain or tension would be beneficial. Another important point is that if we choose to work with, for example, physical tension, we'll often register a reduction in our mental and emotional tension as well. Meditation is another helpful tool in our stress reduction arsenal. As with any tool, we obtain the most benefit from consistent, regular practice. Even just a few-minutes-a-day meditation schedule can offer a sense of being more grounded, more present, and more readily able to handle the highs and lows of life. I have a teacher from whom I receive instruction, and I often lead clients in short guided meditations, but simply selecting from among the plethora of meditation apps on your smartphone and downloading and following along will be helpful. Somatic therapies are also effective methods for relieving stress because they too emphasize and utilize the mind/body connection. Somatic Experiencing (SE™) and Somatic Touch are sensation-focused, and are perfect for those who wish to learn more about how their body physically responds to and stores stress. A specially-trained therapist serves as a guide through this process, offering verbal and hands-on support and encouragement as the client accesses and discharges tension. For those who are experiencing stress as a form of emotion, Integral Somatic Psychology (ISP) offers a method of physically connecting with and processing these feelings. I'm happy to discuss any of these and other body-focused modalities, and how they may help you reduce the stress in your life! For clients in Japan, I'm also affiliated with a group practice (TTCR—Trauma Treatment Center and Resources) in the Saitama area. There, we have English- and Japanese-speaking therapists trained in mindfulness meditation, somatic therapies, and other body-based modalities to help with stress management. It's my month for learning! 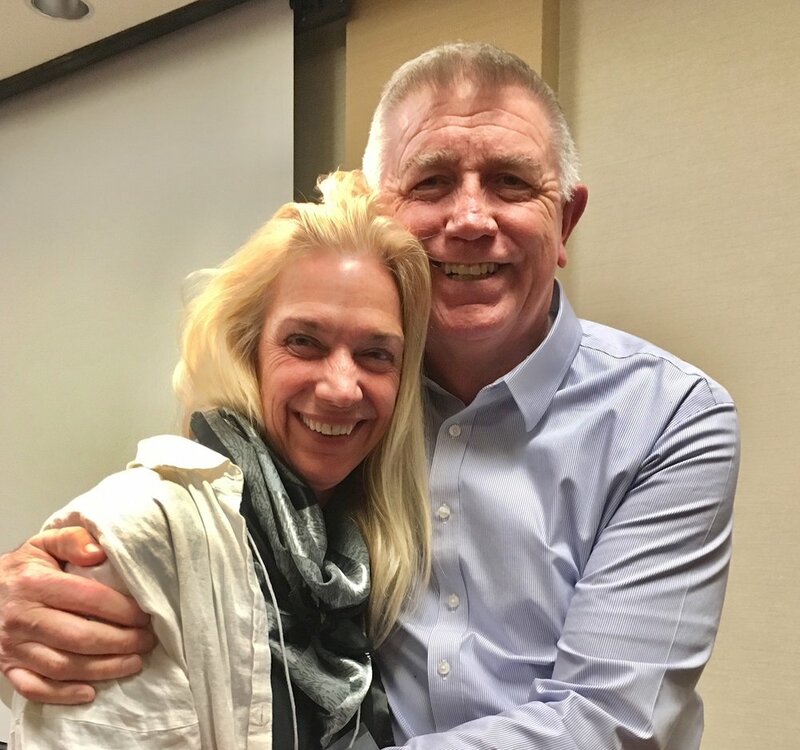 I just completed my second time through the beginnings of Dr. Steve Terrell's Transforming the Experience-Based Brain (TEB) training, and I'm excited. I've been a client myself and have been using the TEB skills (I use the general term “Somatic Touch”) in my office and on-line practice for the past year. I've been amazed at how quickly I and my clients report feeling less fearful/angry/depressed, and more present, more alive, and more able to easily and freely engage with others. All without much discussion, and often without knowing the original source of the problems! Developmental trauma, regardless of the source(s), causes ruptures within our natural stages of growth, leading to physical, mental, and emotional illness. With TEB, we learn that these states are understandable and natural, and the gentle, hands-on work creates a stable base from which clients organically repair these disconnects themselves. If you'd like to learn more about TEB/Somatic Touch and how it may help you thrive, please give me a call at (919) 636-9439, or email me at “anna@bodhisattvabodywork.com.” If you feel ready to make an appointment, please click here. Okay. This will be a little graphic. Vomiting. Diarrhea. Inability to eat and a greenish complexion for a couple of days. And it (thankfully) wasn't the flu. What in the world?! I just returned from Dr. Raja Selvam's first ever Integral Somatic Psychology (ISP™) training in Japan, and to say I learned a lot is an understatement. But not only that, I also experienced the power of this work. Dr. Selvam combines his decades as student, psychotherapist, and teacher into his four step method of fully embodying our emotions in order to more quickly and effectively move through trauma into health. As I worked with my own deeply-held sense of worthlessness, familiar bodily sensations began to morph into unbelievable emotions. With the guidance and support of my therapist, I was able, for perhaps the first time, to access some of the rage I'd been suppressing and to give it a voice. My extreme reaction was not replicated among the other 60 or so students attending. All, however, were able to locate and expand an emotion, and through that process remove and even transform some of the “charge” surrounding past trauma. These practical experiences clearly illustrated that accessing and embodying the emotions which underlie our sensations can be an extremely effective method of healing. A new definition of "trauma" for the new year--why it's a lot more common than you'd think! Happy New Year! I’m looking forward to continuing to work with you in 2019. At Bodhisattva Bodywork, a large part of my job is educating clients about how normal it actually is to have trauma, and about how we can work together to resolve trauma symptoms and causes within their bodies. Most of us think of trauma as something caused by large, overwhelming experiences, such as natural disasters, war, traffic accidents, near-death experiences, sexual assault, near-drowning, child abuse, etc. If we have been fortunate enough to avoid such events, we don’t feel we’ve ever been traumatized. But trauma doesn’t lie in any event itself. In fact, trauma is the result of anything that causes our body to become stuck in survival mode. Trauma may begin as acute stress from a perceived life-threat (as with the events listed above) or it may be the end product of cumulative stress. Trauma may therefore also result from such events as medical or dental procedures, emotional abuse, neglect, loss, falls, birth trauma, or ongoing physical/mental/emotional conflict. In short, even ordinary events can cause trauma. How does this happen? Like animals, we are hard-wired to respond to traumatic incidents as though we are in mortal danger—our sympathetic and parasympathetic nervous systems automatically engage to take us into the most effective physical response (fight, flight, freeze, or collapse) that will ensure our survival. At this point, we are said to be “dysregulated.” Our nervous system is overwhelmed, and must now borrow energy from other body systems to function. Those systems, in turn, become overwhelmed, and we find ourselves experiencing a whole host of potential problems, illustrated as “Stuck on On” and “Stuck on Off” in the diagram. The good news is that we can change this pattern! Anything that allows us to feel completely safe, contained, and supported will help. The longer we can spend in these healing states, bit by bit, the artificial scaffolding our body created to manage our symptoms will start to let go and our innate ability to naturally regulate stress will return and grow. I’ve spent the last few years learning Dr. Levine’s SE™ work and additional, post-advanced modalities, and am happy to help. Please feel free to contact me with any questions at anna@bodhisattvabodywork.com, or at (919) 636-9439.